Was good to meetup at Waypoint 3 and have some get togethers at a couple of Pru Aescs systems, including some relaxed SRV races and the exploration of a few biological and geological sites with fellow fleet commanders, where I gathered more data for the analysts and scientists back at Cannon. We had a mini launch on the 3rd Feb after the next leg of the route was issued by fleet command and we set off for the Rusty Net Nebula. I managed to capture a good photo of this strange nebula with my drones, this can be found in my gallery. The next stop was Skaude AA-A h294, otherwise known by explorers and tourists alike as “Collection of Wonders”. This was indeed the case with two black holes, a ringed M-class star, a ringed white dwarf, and a ringed Neutron star in one system. The fact that most of these stars had met their demise with their long lives at an end but all dying in differing ways intrigued me, all must have differed in mass, strange that such destructive events left much of the system still intact. 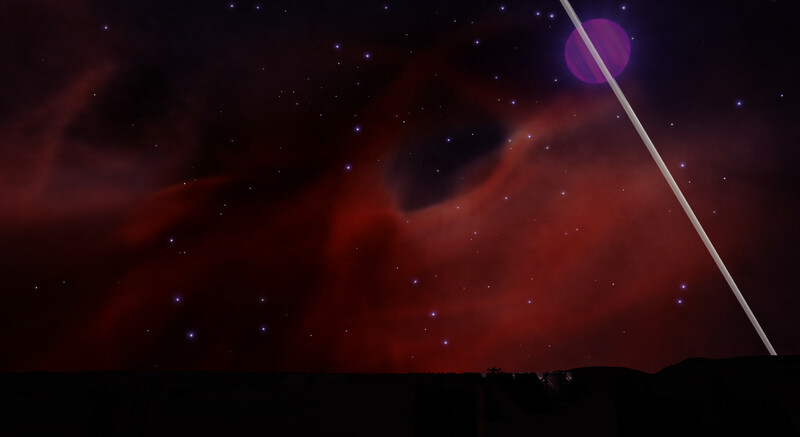 I dropped down into both the rings of the M Star and Neutron star. As I’ve mentioned before, I have been mining in planetary rings most of my life, but this felt surreal, wrong, like a dream. The piercing light of the star flickering fiercely in and out of view as I flew amongst the rocks. After my previous experience with Black Holes, my visit to those in this system was much more careful but not any less amazing. The twisting and distorting of space time is a sight everyone should experience once in their life. With all of our advances in technology, in particularly faster than light travel, and they still remain a mystery to us. Two days after leaving WP3 I reached Skaudai AM-B d14-138, the system where several Guardian Ruins were found back in 3303. My first experience with the Guardians was during the weeks leading up to the launch of Distant Worlds 2 when I gathered the materials required for the FSD Booster I now have installed on my ship, so I had an idea of what to expect. These were much more like ruins though. As I approached in my ship I could make out the outlines of what would presumably have been old structures; parts of walls scattered amongst circular mounds with numerous meticulously placed vertical slabs of an unknown material on either side of the site's centre. I landed, deployed my SRV and had an eerie drive around in the dark with the Skaudai Nebula lighting up the sky above me and the nearby ringed planet on the horizon, it was quite an experience. A few times I had that strange unnerving feeling that I was being watched or as if I was not alone. I made contact with Canonn to see if there was anything I could do for them, but they informed me that these ruins had been fully explored, documented and mapped by several of their science teams when the site was first discovered so I took some more photos and moved on. Next stop, Sacaqawea Space Port where I could finally have a proper look at the external outlet valves of the toilet, the smell from it backing up is starting to waft into the cockpit now.